Being on Facebook almost seems like second nature now that businesses have gone digital. 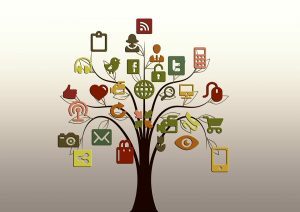 Facebook found that up to 78% of consumers using Facebook to find products and services, from business owners like you. But what if you’re not getting any customers from Facebook? In this post, I’ll show you 7 essential tips to get the most from your Facebook, specifically by optimizing your Facebook business page today. A lot of brands take their Facebook Business profile “About Page” for granted. Some leave it empty, while others display outdated information so it’s hard for customers to reach them. Don’t make that mistake with yours. People use Facebook pages to find out information regarding your brand like how long your company’s been around, what people similar to them are saying about you, and what types of products or services you sell. For local businesses, Facebook Business pages also provide a good opportunity to showcase where you’re located and how people can find you in their neighborhood. Make sure to fill out as many fields in your “About” page like the image below. Use it to show off your awards, brand, or mission. 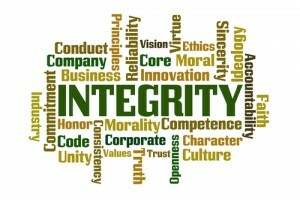 Always ensure to update your company and contact information because customers are trusting you to put the right information out there. 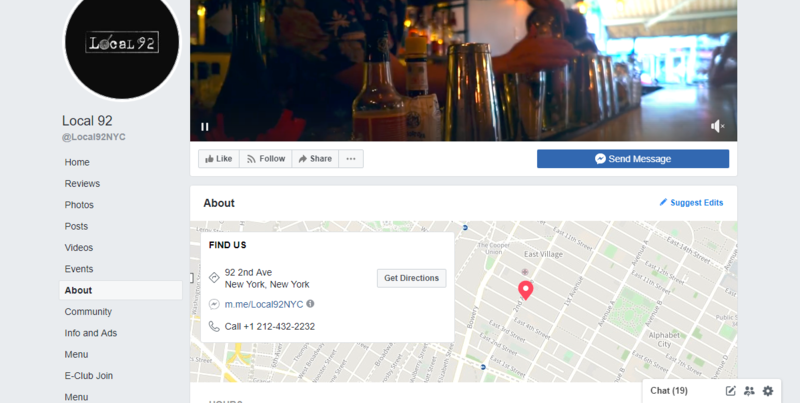 Take a look at Local 92 Resturant’s Business Facebook page and how they make it easy for customers to not only call them but locate them as well. A picture says a thousand words, but it also helps customers to know that your Facebook page is real. When you upload a profile and cover images on your site, you allow people to identify you quickly. Having an eye-catching profile image can draw people looking for something to your page. 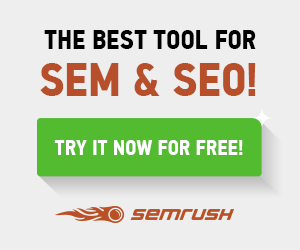 Increase awareness of seasonal promotions or giveaways. Facebook Image Guidelines states that profile images should be 170×170 pixels on your Facebook Business page on computers, 128×128 pixels on smartphones but I find that Canva’s Facebook Post Templates size does the trick. However, Facebook images can be a bit tricky when moving from mobile to desktop. So I ’d recommend using the dimensions 820px by 360px and keep all text and graphics in the middle, this creates a safe zone so no matter what device customers use they can see your cover photo properly. Take a look at M&M’s Facebook cover video promoting their new M&M candy bars. 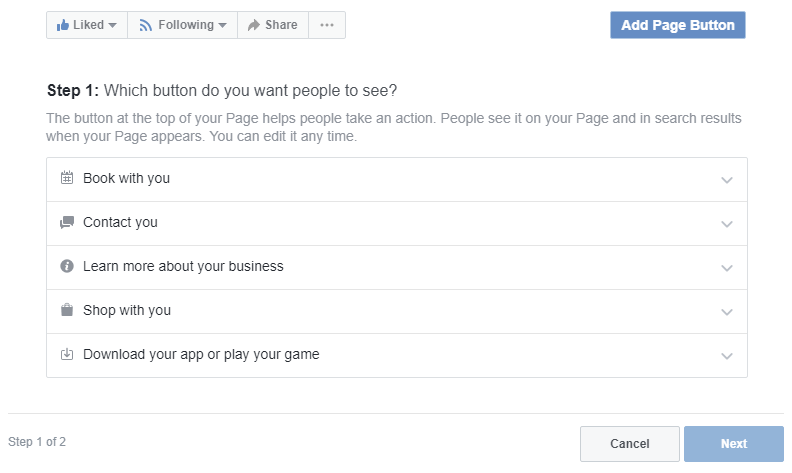 The only way to access this feature is by creating a username on your Facebook About page. Once you create your username you’re URL will be automatically updated to match your username. For example, Tattly made sure that their user name was the same as their brand so when customers search in Facebook their much easier to find. 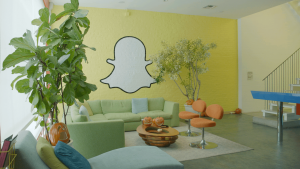 At times creating a username can be easier said than done because no two usernames are the same you may have to create a username that’s as close to your brand’s name as possible. Your Facebook page is almost like a mini website for your brand, just like a website, easy navigation around your page can help your customers find your way around the information they need. Facebook offers pre-made templates that you can use to optimize your Facebook business page. You don’t have a lot of options when it comes to customizing your template except with buttons and tab layouts you’d like to match your business might need. For example, Design by Humans uses the Shopping Facebook page template for their brand. This template gives them the option to have a built-in Shopping tab which allows them to feature products on Facebook. Another feature brands tend to overlook when it comes to optimizing their Facebook business pages are CTA buttons. Your CTA (call to action) button can be customized for a variety of actions you’d like your viewers to complete ranging from options like Book Now, Call Now, Contact Us, Send Message, Use App, Play Game, Shop Now, Sign Up, Watch Video, Send Email, Learn More, and Request Appointment. 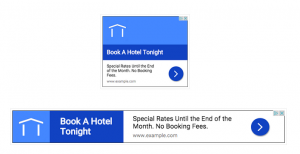 Try to choose a CTA that fits the action or landing page you want your customers to be on or complete. Your page’s call-to-actions are located below your cover photo.To edit click the blue button. You can optimize your Facebook page with the Tabs are sections of your page’s content. Your tabs are located at the side of your Facebook page like the example from our Wishpond Facebook page. Facebook offers business standard tabs like Home, Posts, Videos, Groups and more for viewers to find content quickly. If your not sure what type of tabs you’d need facebook templates allows you to access tabs that suit your business needs. You can also add more tabs, prioritize, or edit them. To change the tabs, just go to “Sections,” then to “Edit,” and at the bottom of the page, you can see your current tabs as well as the option to add a tab. 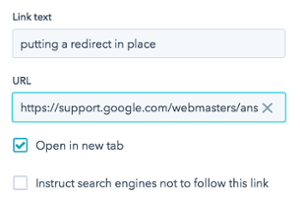 Facebook also allows you to create tabs with a developer or integrate with an app like MailChimp so you can add a custom feature to optimize your page to the fullest. When you pin a post on your Facebook page, you allow viewers to see the most impost post at the top of your page before they even start scrolling. The pinned post puts your content in the spotlight and typically results in higher engagement rates since it’s the first thing visitors see. 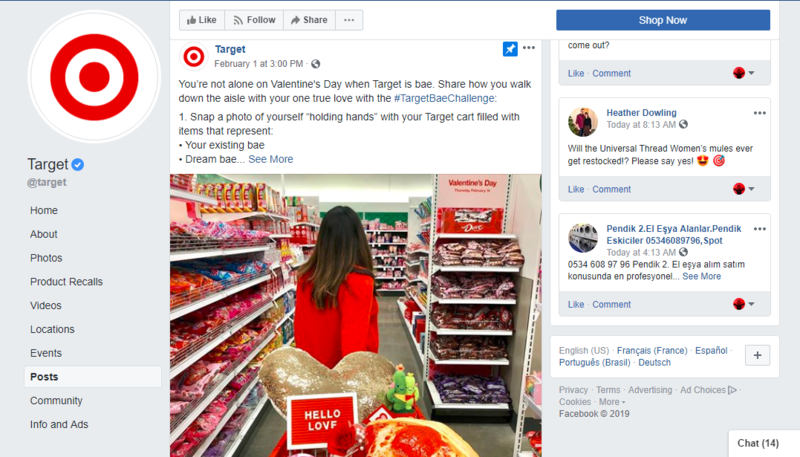 Target decided to pin a Valentine’s Day post on their Facebook business page to promote their sales for the holiday. This V-day pinned post got over 22,000 likes, 1000 comments and 1000 shares since being posted on February 1st. To pin a post, go to the post you’d like to pin, click the arrow in the upper-right corner of the post and select “Pin to Top” from the drop-down menu. Keep in mind that pinned posts are time-sensitive which mean once the promotion, season or event has ended it’s best to unpin it so your page looked updated. One of the perks of having a Facebook business page is that you can have added features to help to manage your page and customers easier. Facebook allows you to now customize instant or saved replies so you can handle your customer service on Facebook efficiently as well as accept payments so you can optimize your Facebook page to receive payments and make sales. Facebook launched a payment feature for business to help auto-fill billing details, e-commerce checks out and through Buy Buttons to gain sales. 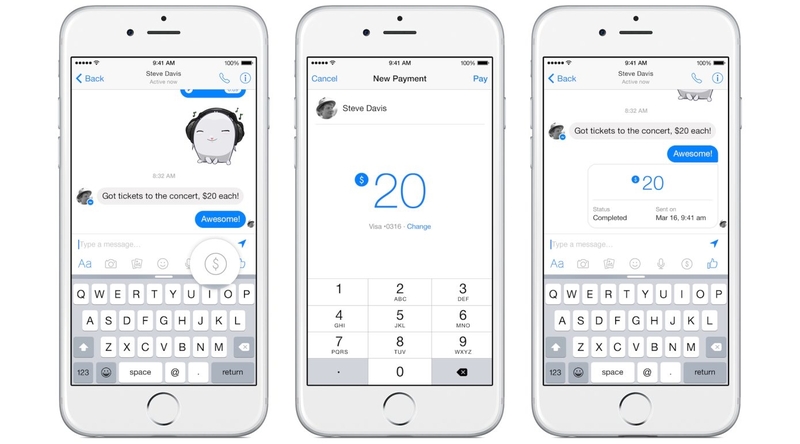 This payments feature is available in the Facebook Messenger app on mobile and desktop. Customers can use debit or credit for payments. At the moment charges are only made by the payment provider you choose like Paypal, etc, for now, Facebook won’t charge you for payment activities. This feature is only available for United States’ users and limited to your circles of friends. Now available on Instagram and Facebook you can now send “Saved Replies” on your business page to help attend to customers frequently asked questions faster. 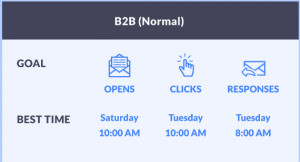 When the customer sends a message, your Saved Replies will appear on the left sidebar of your messaging board with the “Manage Replies” button at the bottom. 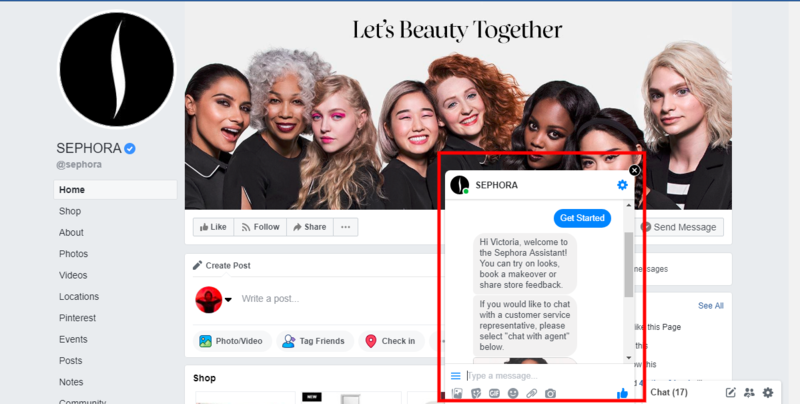 You can take a look at Sephora’s Facebook saved replies below to how they use saved replies to interact with customers. Optimizing your Facebook page isn’t as hard as it seems. With just a few clicks and a personal touch, your Facebook page can start bringing more value to your brand today. If you’re ready to take it a step further, you can try these 45 tips and tricks to optimize your Facebook Business Page. 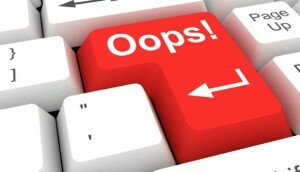 What are some of-of the ways you try to optimize your Facebook business page? Comment below and let me know how it went in the comments below! 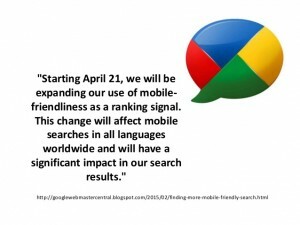 How Google’s Mobile-Friendly Algorithm Update Affect Your Website?